Social media provides attractive business opportunity by means of interaction developed between people, who participate in conversation during a social media relationship development process. The importance of communication developed through stages of social media can be converted into business leads and deals by regular follow up and product information. However, with so many social media sites operational with mammoth profile base, it becomes difficult to access the right prospect to offer a business idea or a product or a service. There are many other business issues, which are necessary to take care of when developing a business base on social media, e.g., geographies, language, local culture, etc. To properly analyze activities on social media and reach a definite conclusion, it is quite necessary to seek help from social media analytics tools. Here a very slight preview of some of the most popular social media analysis tools is provided for user’s perspective. • Buzzstream: This tool comes in two versions: a link building CRM (Customer Relationship Management tool) and a Social media CRM. 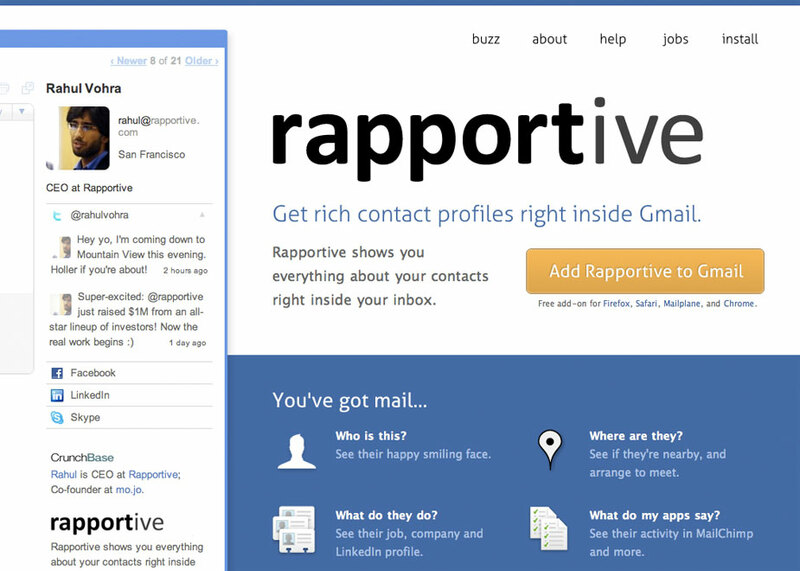 Both versions of the tool can be easily integrated with an email account and Twitter accounts. Buzzstream integrates link building metrics and buzz measurement tools. It displays both sides of a conversation for a social media site. • ConnectedHQ: It is a contact manager, which keeps records of interaction history for a quick overview of the most recent interaction. 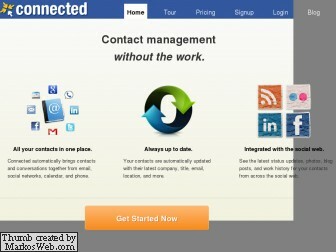 ConnectedHQ integrates all connections into one system from Gmail, Facebook, Twitter, LinkedIn, Outlook Contacts, Mac Address Book, Google Contacts, Google Calendar, Google Voice and Evernote. • Rapportive: Rapportive briefs about varying interests of social media profiles holders at a same place. One can instantly evaluate what people like and dislikes. Thus on the basis of this extensive database, the communication can be formed with different individuals on social media sites. The network can be grown tremendously by using LinkedIn, Twitter, Facebook and more. 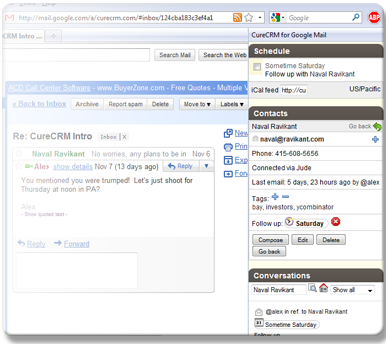 • CureCRM: It is a viable solution for Gmail and Google Apps email to define recent sales conversations and make a separate database of the mails send for sales purposes. Though these tools are in the market, yet they are still in infancy stage, and there a lot is required from these tools to reach at some outstanding social media predictions for businesses.